Downtown Austin Apartment Locator Will Give You the Service You Deserve They Will Help You Find Your Downtown Austin Apartments. Our Downtown Austin Apartments Locators specialize in Apartment Locating in the Urban neighborhoods of Austin near the University of Texas, the Downtown Central Business District, Soco, HydePark, Lady Bird Lake, Travis Heights, Barton Springs, The Arboretum Area, East Austin, and West Lake. Downtown Austin Urban Lifestyle Options are Numerous - Our Austin Apartments Locators goal right now is to make a good list of apartments downtown Austin that have all your must-haves in them. OR . 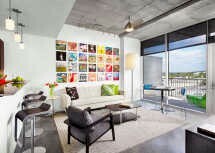 . . We will create a customized presentation of apartments downtown Austin tailored to your individual needs! Just tell us the type of apartment you are looking for. Tell us what your Downtown Austin Apartments needs are & include where you would like to live. We'll get back to you with a detailed list of matches with the specials and amenities you would expect from an experienced Austin Apartment Locator. Your agent will find apartments that match what your criteria Read More.